KAHA never fails to impress with her work. 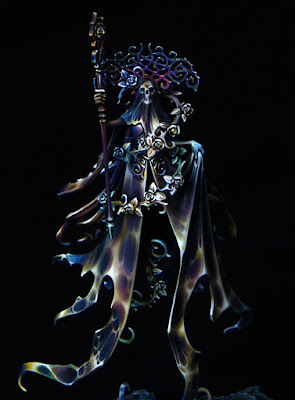 She's definitely the master of freehand and a model like Olynder provides tons of opportunities for that. I love how dark and sinister she still looks while incorporating so many colors into it. 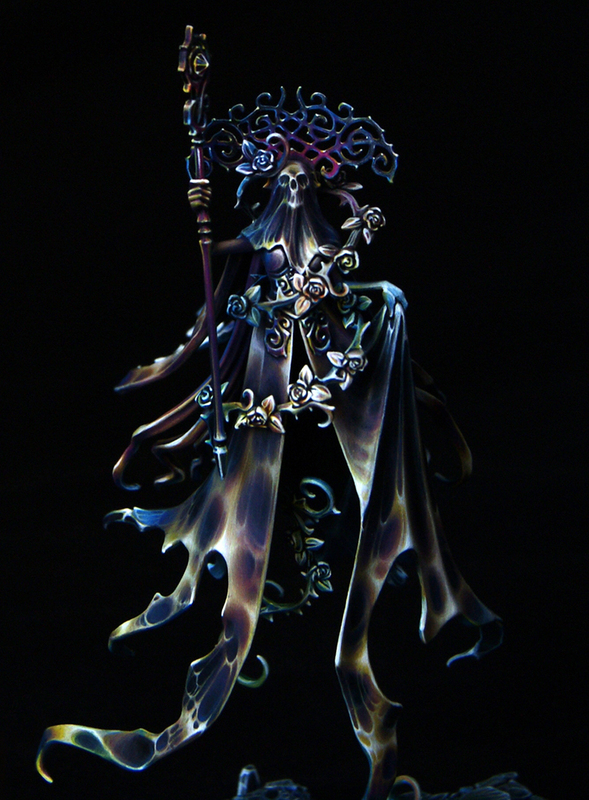 The almost flame like pattern of the freehand evokes an ethereal feel to it too. Everything is as smooth and crisp as you would expect, and the blends really are impressive. They go from almost pure black to an almost pure white color. 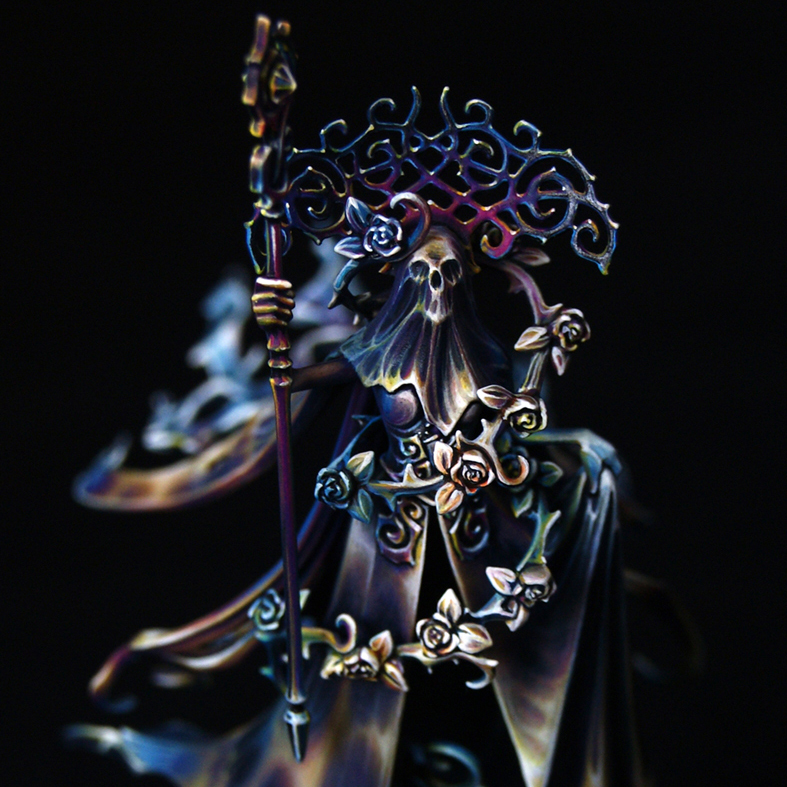 There's not much more I can say about it, it's just a really impressive model. You can, and should, follow her on Instagram @kaha_katarzyna_gorska. She posts on there pretty frequently. Be sure to check out more views of the model on Cool Mini of Not and show the artist some love if you like it.